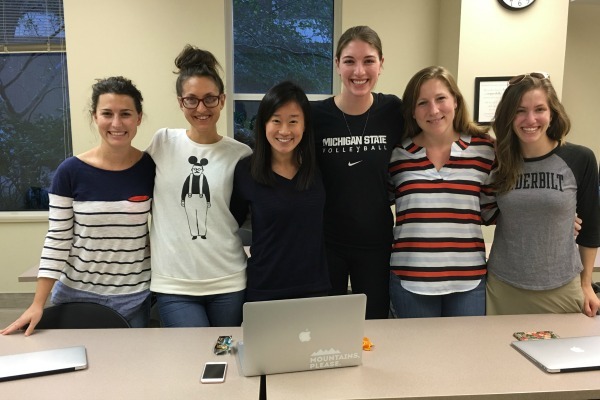 Vanderbilt University School of Nursing recently held a three-day clinical immersion to launch its Sexual Assault Nurse Examiner (SANE) education program for advanced practice nursing students, part of a $1.43 million grant from the U.S. Health Resources and Services Administration (HRSA). Sexual Assault Nurse Examiners are specifically trained to help victims of sexual assault, collect evidence and testify. HRSA has an initiative to increase their number nationwide and reduce the need for individuals seeking help to travel to find someone with SANE training. 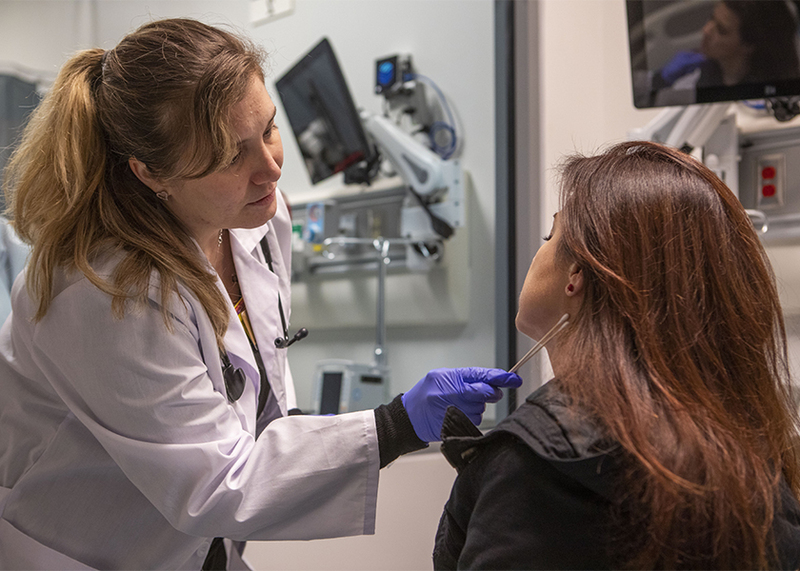 Vanderbilt’s program is intended to increase the number of SANE-trained and certified advanced practice registered nurses practicing in emergency departments in rural or underserved communities in the U.S. In addition to the three-day clinical immersion that took place on Jan. 7, 8 and 11, students participating in the SANE program complete a minimum of 40 hours of online coursework and at least 300 hours of clinical experience to be eligible to sit for the certification examination. “Sexual assault nurse examiners have specialized education to conduct forensic examinations in a manner that begins the healing process for assault survivors while also delivering evidence-based clinical care and necessary evidence collection,” said Mavis Schorn, PhD, CNM, FACNM, FAAN, the grant’s principal investigator. The 15-student class was made up of emergency, women’s health and pediatric nurse practitioner students. Nationally, there are about 1,500 nurses with SANE certification; fewer than 400 of them serve pediatric patients. 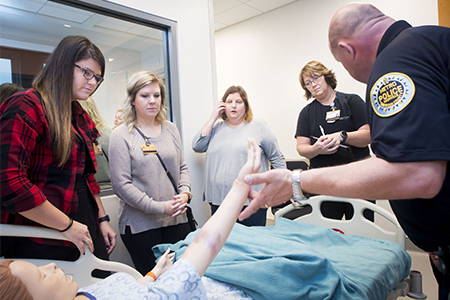 As part of the course, police investigators taught students how to photograph bruises and injuries, prosecutors and defense attorneys shared about actual cases and the role SANEs played in them, and a SANE demonstrated expert witness testimony in a mock trial. Other clinical education included learning how to perform comprehensive physical exams and collect forensic evidence. The course also included discussion, case studies and role-playing regarding the special needs of vulnerable patients, such as pregnant women, children, victims of human trafficking and members of the LBGTQI community. Cultural sensitivity and developing individualized care based on a patient’s personal beliefs were also part of the curriculum. Students also performed forensic examinations utilizing standardized patients, actors trained to portray people in health care scenarios. 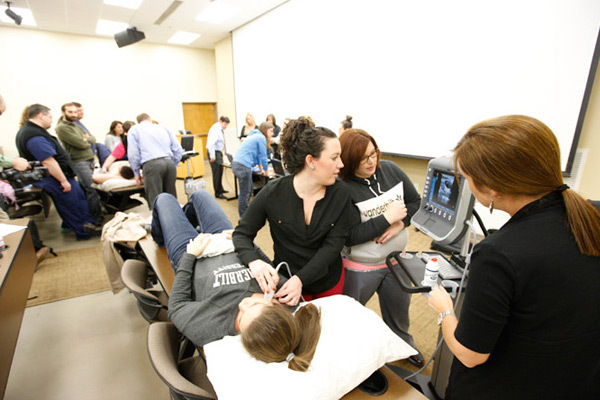 Five of the students will obtain clinical experience in Middle Tennessee; prior to the course, there were only five SANE-certified nurses in the region, practicing at VUMC and Nashville General Hospital. An additional aspect of VUSN’s program is its intended impact on rural or underserved areas. Jennifer Wilbeck, DNP, FAANP, academic director of VUSN’s Emergency Nurse Practitioner specialty, works on the program with Schorn. In addition to Schorn and Wilbeck, the SANE project team includes Assistant Professor Keeley Bowman, DNP, RN, WHNP-BC; Associate Professor of Nursing and Medicine Melanie Lutenbacher, PhD, MSN, RN, FAAN; and Associate Professor and Women’s Health Academic Director Ginny Moore, DNP, WHNP-BC. The program also calls upon VUSN’s simulation team, clinical practice office and technology department for additional resources. Students who participated in the training talked about the benefits they received from it. Partners in this initiative Include Vanderbilt University Medical Center; Our Kids, which currently provides pediatric/adolescent SANEs in 47 Middle Tennessee counties; Nashville’s Sexual Assault Center; and EmCare, a national organization that is one of the largest staffing organizations for emergency departments. An advisory board to the program consists of local and national experts in the field. Vanderbilt SANE student Michelle Currey (left) uses a swab to collect evidence. Her patient is an actor trained to provide a variety of responses to the students. A Metro Nashville Police Department crime scene investigator uses a nursing mannequin with simulated bruising to demonstrate how to photograph assault injuries. From left are VUSN’s Sexual Assault Nurse Examiner course students Erin Talbott, Lauren Lariscy, Jennifer Pricher and Rita Peters. Before she takes a medical forensic history and starts an exam, Vanderbilt SANE student Eden Vinyarszky (right) talks to a standardized patient portraying someone who has been assaulted.